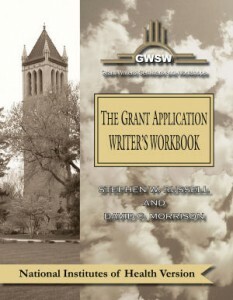 During the past several months, we have posted a series of blogs concerning what types of words and phrases to avoid in the preparation of grant applications. In this month’s blog on this topic, we consider the commonly used phrase (in perhaps one application out of every four that we see), “to the best of our knowledge.” A careful analysis of what is actually being communicated here should raise serious eyebrows as to whether this is likely to be helpful or particularly informative for a reviewer. On the surface, when an applicant states “to the best of our knowledge” such phrases are often used to modify a claim. By way of example: “Currently there are, to the best of our knowledge, no earlier studies addressing (or there is no information known about) the topic or issues that are described in this application.” The implied intent of this phrase is to suggest that, in reviewing the published literature, the applicant was unable to find relevant information. But this does, of course, bring up the question that a reviewer would need to know: “Exactly how much about the field does the applicant actually know?” Of course, it would be virtually impossible for a reviewer to answer this question accurately. Therefore, from the perspective of the reviewer, this is likely to raise more questions than it answers. It may even instill doubt in the mind of the reviewer about the applicant’s knowledge. Thus, the reviewer may be led to the question: “Are there actually relevant studies out that there that the applicant does not know about?”. Moreover, it seems that inclusion of this language is designed to ‘protect’ the applicant from appearing ignorant of the literature. In actuality it provides no such assurance. It might be that the reviewer knows more than the applicant, and is aware of additional information not cited by the applicant. In such a case, the applicant would likely be in a heap of trouble. This is certainly not to the advantage of the applicant in instilling confidence that he/she knows what’s current in the field. Remember that “Applicant” is a key review criterion in any grant application. Loss of confidence in the applicant’s knowledge base will likely translate into loss of confidence in the feasibility of the proposed work. Who needs that? Certainly not YOU! Finally, we think that most reviewers begin reading a grant application assuming that the applicant is saying things that are true and correct. In other words, reviewers do not begin with the assumption that the applicant will deliberately make false statements. Thus, inclusion of the phrase “to the best of our knowledge” has the potential to bring into question every other statement in the grant application. Of course, if every sentence included the phrase “to the best of our knowledge,” it would guarantee an incredibly boring application. The key take-home lesson is that the phrase “to the best of our knowledge” should under most circumstances be avoided in grant applications. Such a recommendation obligates us to provide a potential solution. Consider, for example: “At this time, to the best of our knowledge, no investigators have reported on the underlying causes of phenomenon X.” We might suggest, instead: “At the present time, few if any detailed investigations into the underlying causes of phenomenon X have been published.” In this way, the applicant would be acknowledging that there may be no information available, but on the other hand, there may be some limited information (which the applicant may have missed and the reviewer may be aware of) but it certainly is not expansive. This, and many, many other helpful hints are routinely included in our series of The Grant Application Writers’ Workbook and our book on Writing for Biomedical Publication, available through our website.